Approximately 25 percent of residential structures built in the United States are manufactured homes (sometimes also referred to as “mobile homes”). 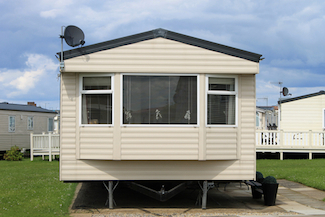 If you own a manufactured home, we can help you find the right policy for your needs. A manufactured home insurance policy will protect you against the risk that your home or possessions are destroyed or damaged by vandals, storms, fire, or burglary. Additionally, the policy will include liability coverage to protect you from unforeseen injuries incurred on your property. Kincaid Insurance offers manufactured housing coverage for individuals in Indiana, Kentucky, and Illinois. What Coverage Will I Get? What Types of Manufactured Homes Can Be Covered? Protect your home and possessions by calling Kincaid Insurance today. We currently help families and individuals find affordable insurance for manufactured homes and trailers in these markets: Indiana, Kentucky, Illinois. We have customers spanning this area, including trailer parks located in Evansville, Newburgh, Boonville, Rockport, Jasper, Vincennes, Haubstadt, Terre Haute, Corydon, Princeton, Washington, Tell City, Ferdinand, Henderson, Owensboro, Louisville, Madisonville, Carbondale, Mt. Vernon, Olney, Fairfield, and many others.